Dr. Mudge is a recognized expert in the economics, finance, and planning of all modes of transportation. Dr. Mudge has held a series of management positions as a transportation consultant including work for Apogee Research, the RAND Corporation, and Delcan. Previously he directed the transportation policy group for the Congressional Budget Office. 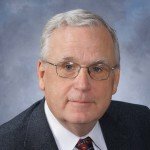 He currently serves as President of Compass Transportation and Technology Inc.
Dr. Mudge’s consulting clients are usually decision makers, whether from public agencies or private firms. His work on applied economics includes development of regional performance measures of the economic value of transportation (prepared for Bipartisan Policy Center) and work on the economic and planning implications of autonomous vehicles (Northern Virginia Transportation Commission among others). Dr. Mudge has been active in the field of innovative finance, covering infrastructure banks and public-private partnerships. He helped design the state infrastructure bank program and was involved in early stages of US DOT’s TIFIA. More recently, he has made a series of presentations on the proposed WIFIA program to support port and inland waterway investment. Much of Dr. Mudge’s work involves market assessments of new transportation systems. This includes work for private entities (for example an assessment of the market for tracking devices for maritime containers) or for public entities (for example the market for new commercial airports or options to encourage freight to shift from truck to rail). Dr. Mudge served on a TRB panel that reviewed the federal role in the marine transportation system. This report provided a broad array of recommendations regarding how best to finance and operate the US maritime system in the 21st Century. The final report was published as TRB report 279. Dr. Mudge holds a Ph.D. and Masters in Regional Economics from the University of Pennsylvania and an undergraduate degree from Columbia College. He was the founding chair of the International Benefits, Evaluation and Costs Working Group (IBEC).